Can a Parkinson’s Patient Ride a Bike (without a helmet)? Three years ago the New England Journal of Medicine published a remarkable case study : “Cycling for Freezing Gait”. 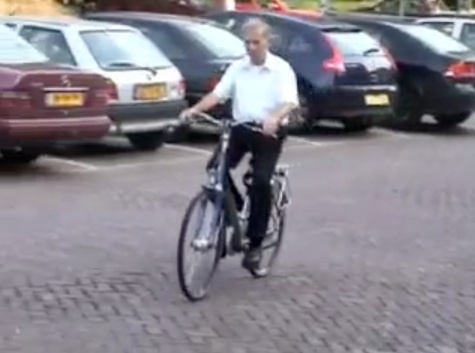 The report from doctors in the Netherlands describes a man with severe Parkinson’s disease who was virtually unable to walk, but, when put on a bike, rode beautifully, including the ability to turn, raise off the seat for power, and comfortably dismount.